Panasonic's Lumix GH5S is a high-end mirrorless camera aimed at pro videographers, delivering the best movie and low light quality from a Lumix G body to date. It doesn't replace the existing GH5, but is instead positioned alongside as a joint flagship. The GH5S takes the GH5 body and equips it with a new 10 Megapixel sensor optimised for video and low-light. Spare pixels at the sides allow it to support multiple aspect ratios without compromising resolution or reducing the field of view, while Dual Native ISO allows low noise at high sensitivities. The GH5S also enjoys unlimited recording times, Cinema4k up to 60p and V-Log included as standard. Find out more in my hands-on preview which includes a video explaining all the new technologies and headline features! Check prices on the Panasonic Lumix GH5S at Amazon, B&H, Adorama, or Wex. Alternatively get yourself a copy of my In Camera book or treat me to a coffee! Thanks! Panasonic’s Lumix GH5S is a high-end mirrorless camera aimed at professional videographers, delivering the best movie and low light quality from a Lumix G body to date. Announced in January 2018, it joins the existing GH5 and G9 as joint flagships of the Lumix G series, but each with a different speciality: the G9 is the ultimate stills camera, the GH5 the ultimate hybrid camera, and the new GH5S becomes the ultimate video camera in the Lumix G range. Like all Lumix G bodies to date, the GH5S is based on the Micro Four Thirds standard co-developed by Panasonic and Olympus, allowing it to access the largest selection of native mirrorless lenses on the market. The Lumix GH5S shares essentially the same weatherproof body as the GH5 launched a year previously, sporting a high resolution electronic viewfinder, fully articulated touchscreen, and twin UHS-II card slots, although interestingly there’s no longer any built-in stabilisation due to a slightly larger sensor and demand from some videographers who prefer to manage stabilisation themselves. The GH5S features a brand new sensor optimised for video and low light performance. 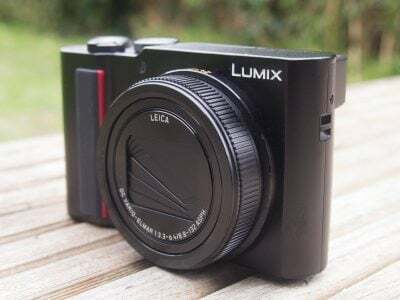 Panasonic describes it as having 10.2 Megapixels when shooting in the 4:3 shape, but it actually has spare pixels on the left and right sides in order to capture wider 3:2 and 16:9 aspect ratios without cropping the field-of-view; a trick last seen in this series with the GH2. The relatively modest resolution also means each pixel is 1.96x larger than those on the GH5 for lower noise, and allows Cinema 4k video to be captured with a clean 1:1 crop and no field-reduction. Like the GH5, there’s unlimited recording times and internal 4:2:2 / 10 bit / 4k, but Cinema 4k is now supported up to 60p (twice as fast as the GH5), the mic input can be switched to become a line level input, there’s timecode in and out, anamorphic support, 1080 video up to 240fps, and V-Log is included as standard. Perhaps most impressive, the GH5S sensor inherits the Dual Native ISO capabilities first seen on the EVA1 and Varicam 35 pro video cameras where twin analogue circuits on each pixel allow low and high sensitivity options. The latter operates at a base of 2500 ISO, allowing the GH5S to out-perform the earlier GH5 from 800 ISO upwards for movies and stills. Oh and there’s 14 bit RAW for stills now too, although the sensor resolution means there’s not enough pixels for 6K Photo modes, only 4K ones. Panasonic plans to make the GH5S available soon after launch by mid-January 2018 at a body price of 2199 GBP. I had the chance to quiz Panasonic engineers and get my hands on an early GH5S sample for my first-looks video below! I know some of you will also want to see some numbers for the various aspect ratios, so I have some further details lower on the page. The GH5S is essentially a GH5 with a new sensor, optimized for video, but with a number of benefits that still photographers will also appreciate – these include support for multiple aspect ratios without cropping the field-of-view and improved performance at high ISOs. To understand how the multiple aspect ratios work, I’ve created a series of diagrams showing their relation to the imaging circle, the area within which a lens is designed to operate. Above: I’ve illustrated a traditional Four Thirds sensor on the left and the new GH5S sensor on the right, both inside the imaging circle of the Four Thirds lens format. You can see how the 4:3 shape of the traditional sensor fits exactly within the imaging circle, while the slightly wider sensor of the GH5S means the extreme corners actually protrude slightly beyond the imaging circle – but don’t worry, the GH5S doesn’t use these extreme corner pixels. Just for the record, the total resolution of the GH5S sensor is 4096×2760 pixels, or 11.3 Megapixels in total, but as you’ll see it uses different regions depending on the shape of the image or video required. Above: When shooting 4:3 shaped images, the traditional Four Thirds sensor on the left uses its full area, maximized within the imaging circle. Meanwhile the GH5S sensor on the right crops strips from the left and right sides, leaving it with images measuring 3680×2760 pixels with 10 Megapixels. This 4:3 shape also fits perfectly within the imaging circle, so in this instance the GH5S doesn’t offer any benefit over a traditional Four Thirds sensor, although I should add the 4:3 shape can also be used to contain a squashed anamorphic video image. Above: When shooting in the wider 3:2 shape on traditional Four Thirds sensors, the 4:3 image is simply cropped vertically in order to deliver the required shape. The resulting image itself though becomes smaller, losing both resolution and field of view. Notice how this wider format doesn’t exploit the potential of the imaging circle: cropping wastes pixels and optical capability. In contrast, the GH5S sensor on the right is wide enough to accommodate a larger 3:2 shape that exploits the imaging circle. In the case of the GH5S, the 3:2 images measure 3840×2560 pixels, or 10 Megapixels in total: shorter than the 4:3 images, but genuinely wider, allowing them to maintain the diagonal field-of-view. Above: Switch both sensors to 16:9, the shape used for UHD or 1080p video, and the difference in efficiency becomes even more apparent. The traditional Four Thirds sensor on the left crops the frame even more, losing more resolution and clearly not making the most of the imaging circle; this in turn reduces the field-of-view. Meanwhile the GH5S sensor exploits the spare pixels at the sides to accommodate a 16:9 shape that again occupies a larger area that goes right up to the edge of the imaging circle. When shooting in the 16:9 aspect ratio, the GH5S images measure 4016×2256 pixels, or 9 Megapixels in total, and again don’t reduce the diagonal field-of-view. Above: You’ll notice there’s still a few spare pixels available on the sides of the 16:9 image. These allow the GH5S to capture the slightly wider 17:9 aspect ratio of Cinema4k, and also do it with a clean 1:1 crop measuring 4096×2160 pixels as seen above left in yellow. Meanwhile when shooting in the square 1:1 shape on the GH5S, the camera takes a crop from the 4:3 image as normal; this may not exploit the full potential of the imaging circle, but doing so would have required a much taller sensor with a lot of wasted area in the other shapes. The GH5S sensor is about more than just multiple aspect ratios: it’s also the first in the series to sport Dual Native ISO, a feature first-seen on the EVA1 and Varicam 35 professional video cameras that allows very clean images at high ISOs. On a traditional sensor, there’s a base or native sensitivity where it performs at its best; for most stills cameras, this would be 100 or 200 ISO. Higher sensitivities are achieved by simply amplifiying the signal, but doing so also amplifies the noise which is why at high ISOs the image quality deteriorates. Dual Native ISO employs not one, but two analogue circuits for every pixel, effectively allowing it to enjoy two base or native sensitivities. In the case of the GH5S, the Low base is 400 ISO and the High base is 2500 ISO. This means when set to 2500 ISO, the GH5S isn’t using any gain, which in turn allows it to deliver much cleaner results than at 400 ISO with almost three stops of gain. The GH5S lets you switch between the circuits manually from a menu, or set the choice to Auto. While Panasonic’s white papers on Dual Native ISO imply there’s a hard switch between the sensitivities once the High value is reached, Panasonic’s engineers explained to me the GH5S actually starts using the high circuit at around 800 ISO from which point the camera will deliver lower noise than the GH5. Obviously the larger pixels also help deliver lower noise than the GH5 too. At the launch event I was shown 4k footage shot with a variety of cameras, where the GH5S looked noticeably less noisy than the GH5 and Fujifilm XT2 at 6400 ISO, and impressively comparable to the Sony A7s Mark II at 12800 ISO. I look forward to performing my own comparisons once I get my hands on a final production sample, but the technology has certainly already shown impressive results on the EVA1 and Varicam 35 cameras. Rolling shutter also appeared better-controlled than previous models, including the A7s II. 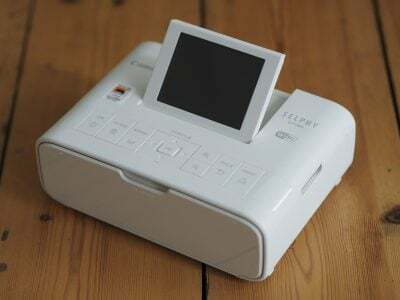 Check back soon for more results and comparisons with this new camera!